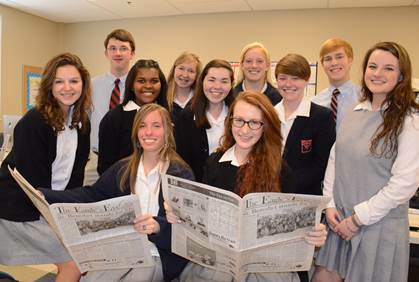 The award-winning SBA “Eagle’s Eye” staff includes Arlington resident Destinee Williams (second row, second from left). The St. Benedict at Auburndale High School student newspaper The Eagle’s Eye was again recognized by the THSPA (TN High School Press Association). On March 10, the newspaper received All-Tennessee Honors, the highest rating given for a school newspaper, and also placed third in the state overall. The following staff members and freelance artist also received top honors: Amanda Slade third place for Features Writing, Sarah Timmins (freelance cartoonist) third place for Cartoon/Illustration and Alanna Oliphant Honorable Mention for Cartoon/Illustration. The Eagle’s Eye staff sponsor and teacher is Dianna Cervetti. Front row (l to r): Carla Ward, Jackson Ward, Joe Ward. 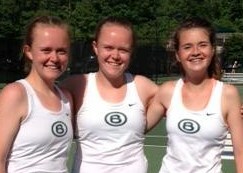 Photo Courtesy of Harding Academy. 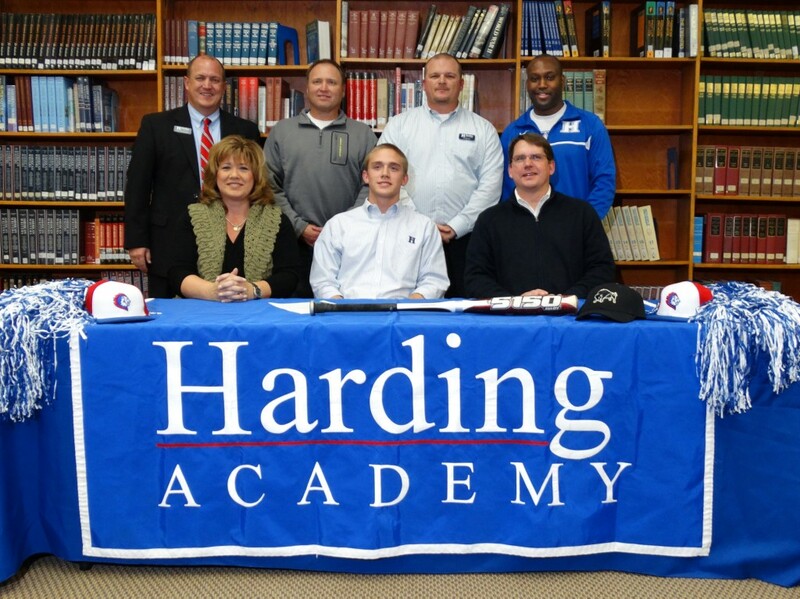 Lakeland resident Jackson Ward of Harding Academy has signed to play baseball at Harding University. Ward was 7-1 on the mound last year with an ERA of 1.93 and batted .302 with 32 RBI in helping the Lions win their second straight regional championship and second straight state runner-up finish. He was named MVP of the 2013 D2A West Tennessee Regional Tournament and was named to the All Shelby Metro Team. He has a career record of 13-4 with 2.77 ERA. 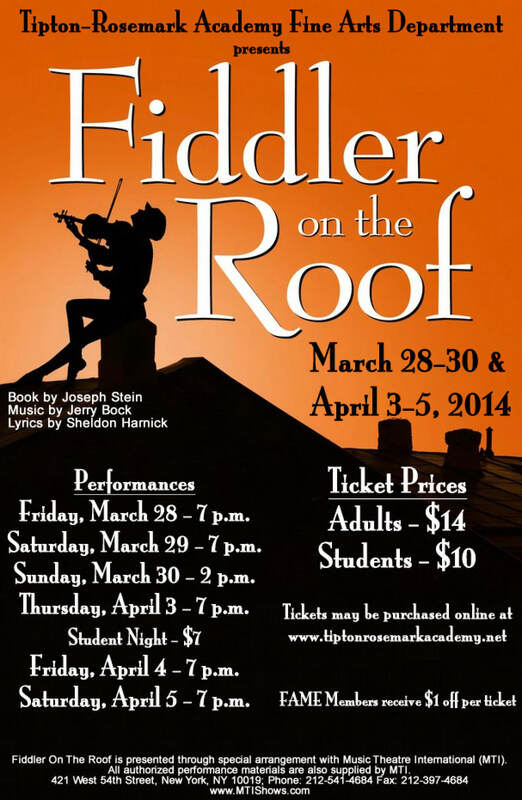 Tipton-Rosemark Academy presents the Tony Award-winning musical Fiddler on the Roof March 28 – April 5 in the new Performing Arts Center on the TRA campus at 8686 Rosemark Road in Millington. 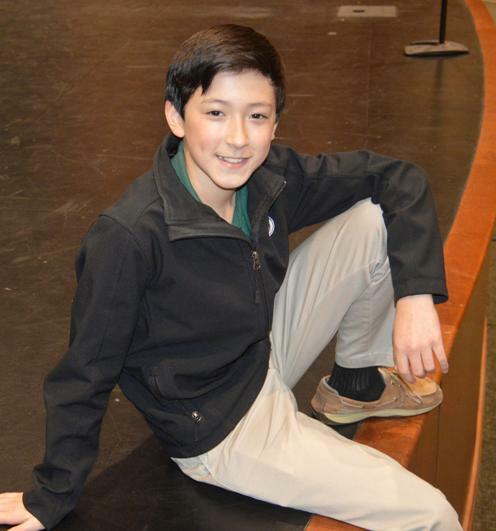 Performances are 7:00 p.m. on Friday and Saturday, March 28 and 29, with a 2:00 p.m. matinee performance on Sunday, March 30. 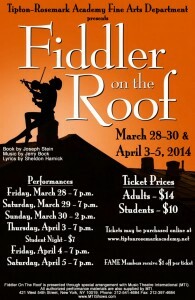 The show continues its run at 7:00 p.m. on Thursday, Friday, and Saturday nights April 3-5. Tickets are $14 for adults and $10 for students. Thursday, April 3 is Student Night and student tickets will be discounted to $7. The musical produced well-known songs such as Tradition, Sunrise, Sunset, If I Were a Rich Man, and Matchmaker. 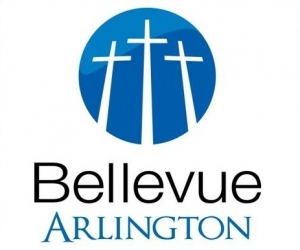 Arlington resident junior Carli Long will play Shaindel, the mother of Motel the tailor, while Arlington native eighth grader Franny Walker will play a Jewish woman. For more information on Tipton-Rosemark Academy’s production of Fiddler on the Roof, call Todd Goode at(901) 409-4984 or visit the school’s website at www.tiptonrosemarkacademy.net to purchase your tickets online.